The US market had a slight rebound from small losses in the 1st quarter. 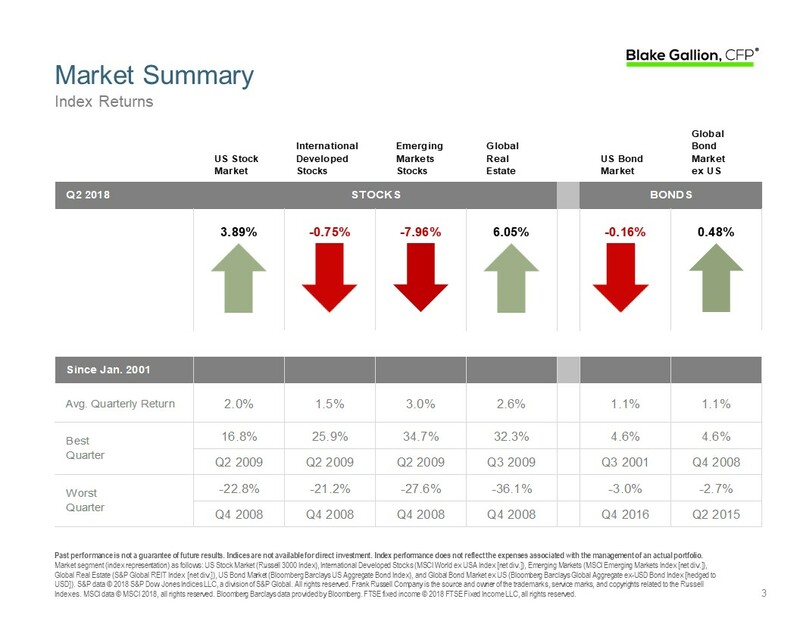 International stocks continued their slight decline while emerging markets had a larger drop. Interest rates in the US continued their slow rise, bringing bond prices down a bit, while global bonds saw minor gains. Overall, investment returns have been pretty flat this year though the ride has been choppy compared to 2017. 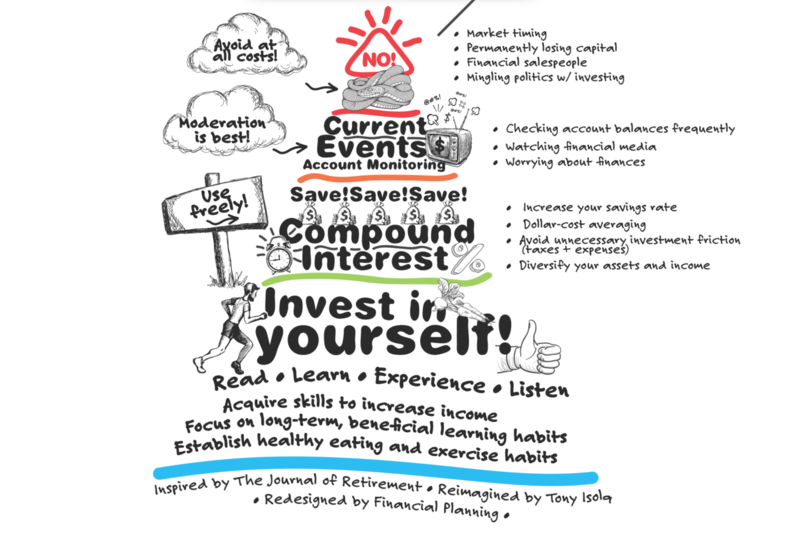 Planning note: Financial-planning.com recently redesigned a Retirement Pyramid originally inspired by the Journal of Retirement. In the same way a food pyramid provides guidance on a healthy and balanced diet, it is intended to show the elements of a healthy and balanced approach to retirement planning. Note, the advice is focused around habits and behaviors rather than technical know-how, as that is a key element. The article at the end of the linked Market Overview discusses this topic as it relates to our investment strategies and success.